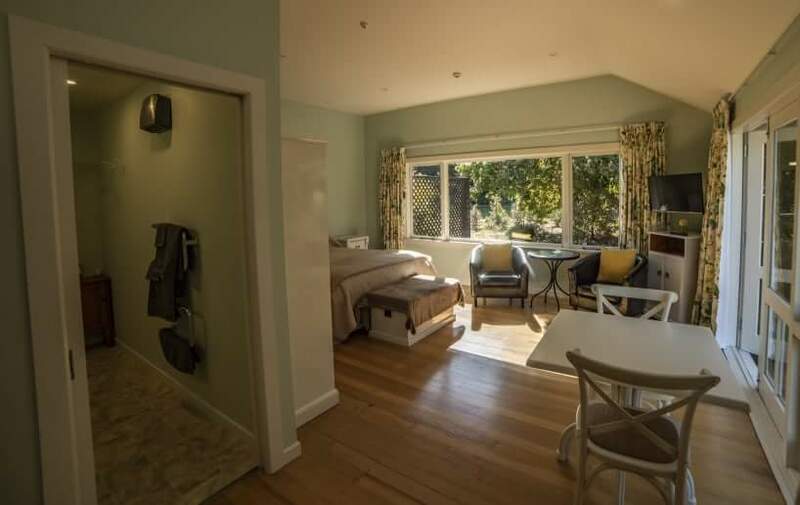 Our Pinot Studio Room is an idyllic garden view retreat offering guests a private, superior, self contained studio apartment downstairs with a separate entrance at Waipara River Estate. Wide wraparound decks open into the gardens and beautiful gazebo at the western end of the house. Guests are welcome to enjoy the gardens and surroundings. 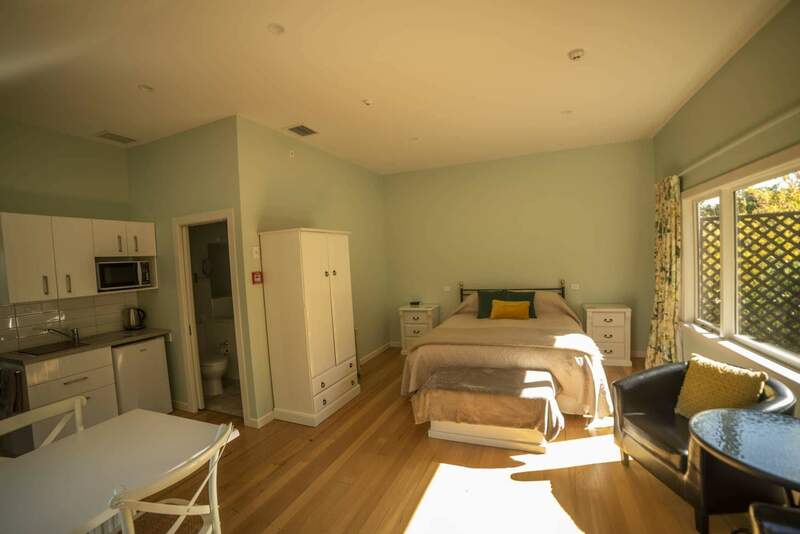 The Pinot Studio Room can accommodate 2 people. It has a king sized bed; tea & coffee making facilities only, two comfortable armchairs and a 2-seater table. The ensuite bathroom has a large curved shower. 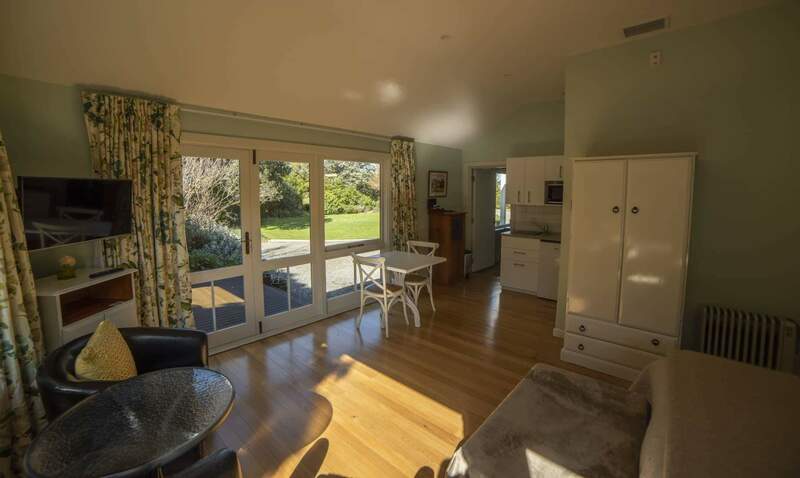 Guests are welcome to enjoy the surroundings of the property and wander down to the Weka River if they wish. Ask us about our bikes (& helmets) to maybe venture on the Hurunui Wine Cycle Trail. The tariff includes a continental breakfast. Please email us if you have any dietary requests so we can attend to your needs. 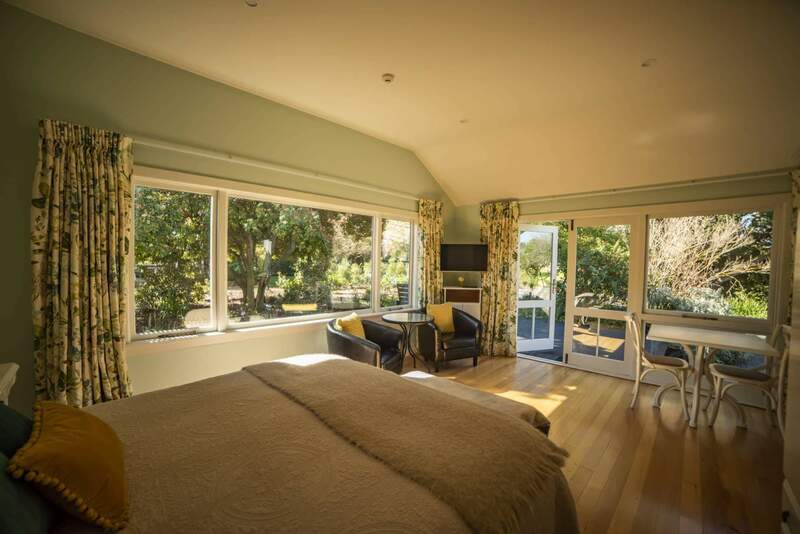 We are licenced to sell Waipara River Estate wines to enjoy during your stay should you so please. Details of these wines can be found by clicking here. We are a smoke free environment and do not allow pets. laundry facilities & iron available on request.